It is what made Chile famous in the first place; inexpensive Cabernet Sauvignon. We Irish fell in love with it many years ago, and still cannot get enough. Back then we were used to drinking Cabernet Sauvignon from Bordeaux. The Chilean version was a little riper and more full-bodied. It was also much cheaper and a lot more consistent. The Torres version is a classic. 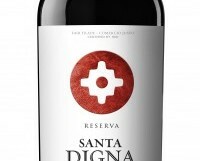 Medium-bodied ripe plums, blackcurrant and cassis with good acidity and a nice structure. Perfect with roast red meats or grilled pork chops.